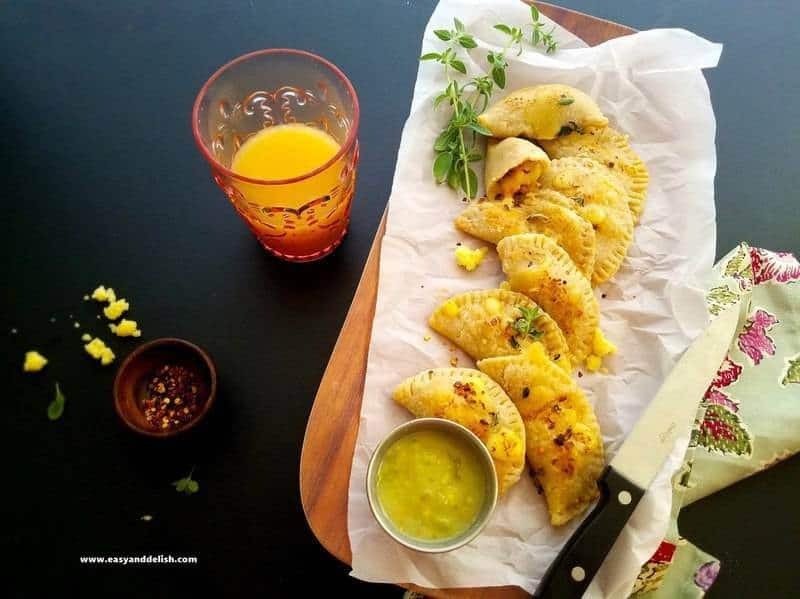 These Chicken Taco Empanadas are small bites easily prepared with simple ingredients such as store-bought pie crusts, chicken seasoned with taco seasoning, pico de gallo, and cheese. They can be served with guacamole or salsa verde, making an excellent appetizer for Cinco de Mayo, parties, and other celebrations. Cinco de Mayo? Yep, yep, yep… We’ve got you covered! 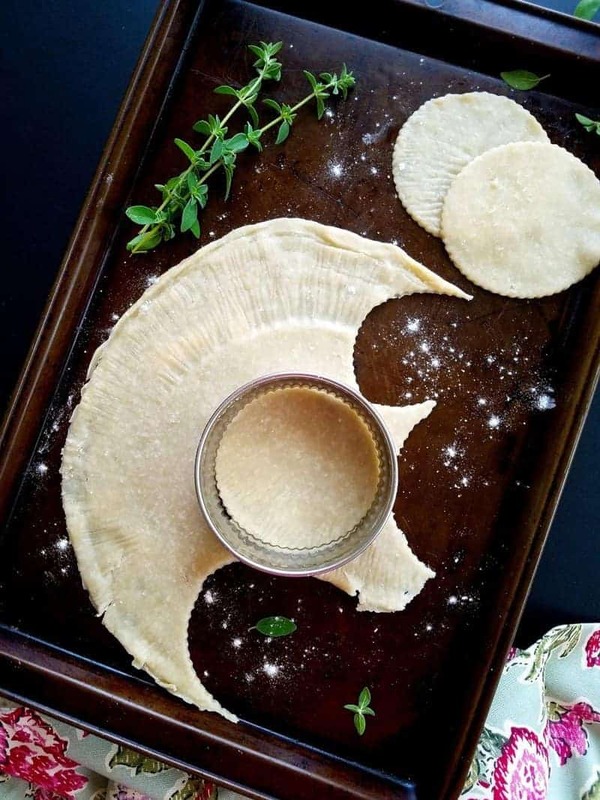 These baked Chicken Taco Empanadas make the most delicious and festive small bites ever. Just imagine how scrumptious it will be to enjoy them along with a margarita– it will positively scream FIESTA, all the way!!! And you know what? They can be fully prepared within 35-40 minutes. What, was that a ‘viva’ or ‘olé that I just heard? Our Chicken Taco Empanadas are made with simple ingredients: store-bought pie crusts, chicken seasoned with taco seasoning, pico de gallo, and of course, Cacique Queso Quesadilla . Then, cook the seasoned chicken fillets in oil and red wine vinegar or lime juice. Shred the chicken and mix with pico de gallo (a mixture of diced tomatoes, jalapeno, onion, and cilantro). And last, fill the pie crust rounds with a bit of the chicken/pico de gallo mixture and cheese crumbs, fold the crust, brush with an egg wash, and bake them for 7-10 minutes or until lightly golden brown. Voila! — they are ready to be devoured, either by themselves or accompanied by guacamole or salsa verde… and if desired, a margarita or other drink of your choice. 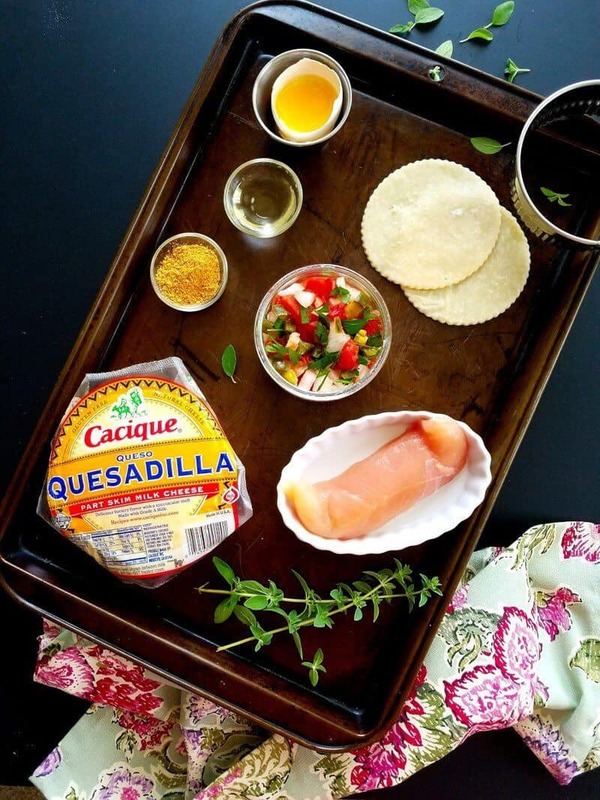 The Cacique Queso Quesadilla used in this recipe can easily be located here. Just click on the product and type in your zip code to locate availability in stores near you. For over 40 years Cacique has remained a family-owned company dedicated to producing the highest quality authentic products. Cacique produces Mexican-style products using only the finest ingredients and authentic recipes. 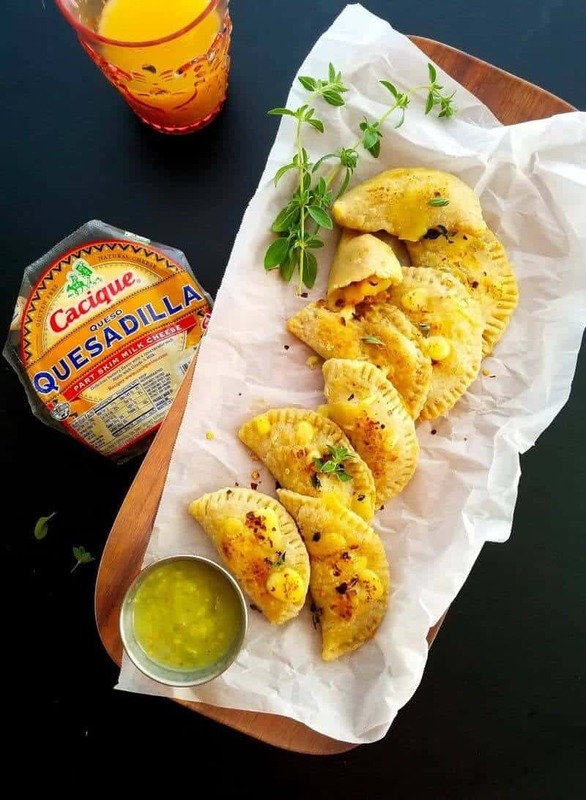 Queso Quesadilla is part of their delicious line of artisanal cheeses… it’s wonderfully nutty and buttery, making it a fabulous melting cheese for our empanadas, as well as for quesadillas and other dishes. As you can see, it’s a versatile cheese that can be used in place of most melting cheeses — similar to Monterey Jack cheese. Click on the recipe link below, make them to celebrate Cinco de Mayo in style, and enjoy! I keep pie dough in my freezer, that way I’m always ready to bake when inspiration arrives! 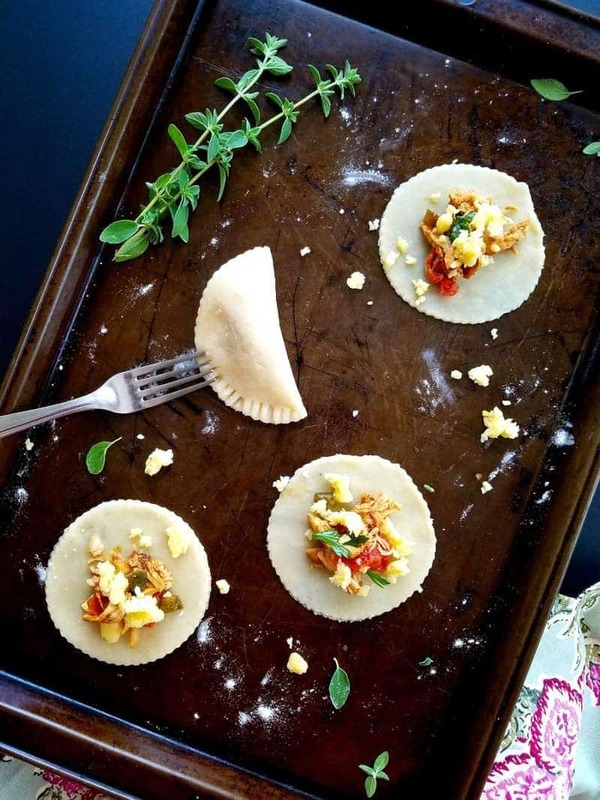 These savoy empanadas would put my stash of pie dough to good use, they are fabulous. 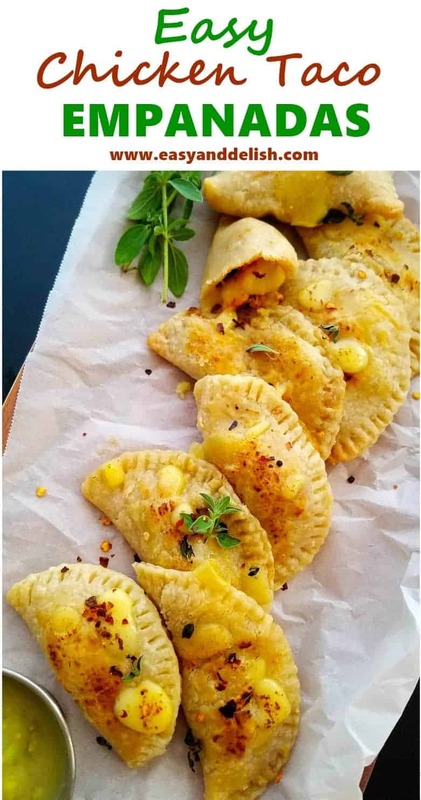 Adorable little empanadas and as always a clever little twist from you that makes them irresistible. Love these! That indeed looks easy, I can be a pro in making those delicious morsels. Yum!!!! Super yummy recipe! Kudos Denise! Plus, it’s very very easy to replicate! On the description it seems that you missed mentioning the cheese crumbles (“And last, fill the pie crust rounds with a bit of the chicken/pico de gallo mixture, fold the crust”) though, right? Thank you so much for another beautiful recipe! It was mentioned in the recipe although skipped in the article text. Thank you for pointing it out. I have corrected that part. I hope you can make these and enjoy. I need to bake another batch soon. My family and I are big fans of empanadas… and these became my husband’s favorite. Take care!